Did you ever beg your parents as a child to get you a dog? Instagram has made it easier than ever to have your own e-dog! 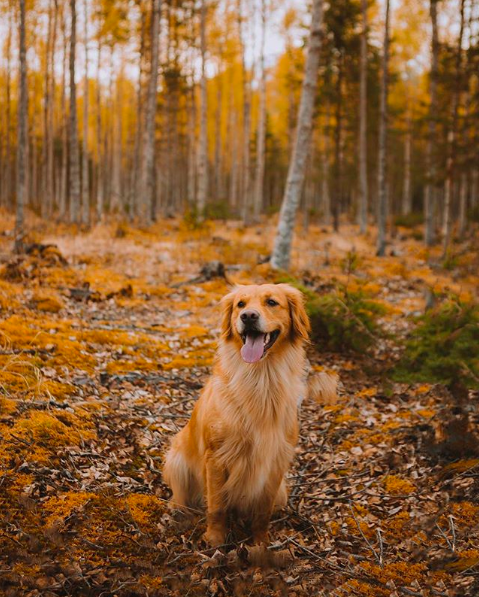 There’s nothing cuter than a fluffy little puppy running through a forest or sitting on top of a mountain. If you haven’t come across these adorable pooch pages, your day is about to get a whole lot better. Taking care of a dog is a lot of work and where you live can also be a factor that holds you back from getting a furball of your own. We have scoured the web and found 6 of the most endearing Pup-sta-grams out there. Start exercising your thumb because you are about to do a lot of double-tapping. 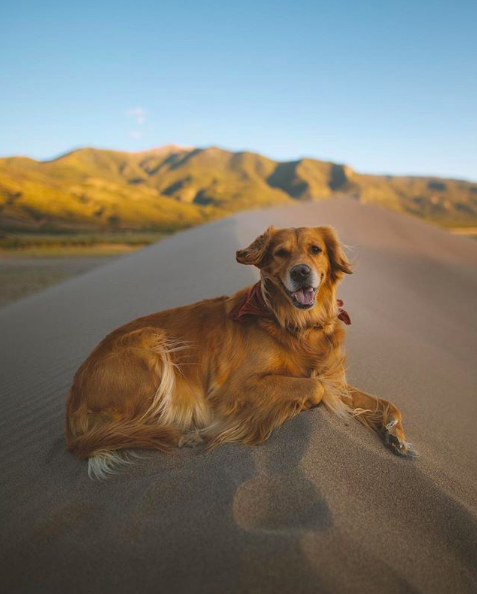 There is nothing like having your furry best friend with you on a trip and Logan is one unique looking adventure pooch. He is a German Shepherd and Australian Shepherd cross and loves the outdoors. He lives in North Carolina and according to his Instagram, has a passion for playing in the water. Logan’s face has a very one of a kind look — one side is spotted while the other is a solid chocolate color. We think he is especially cool because he is named after Logan from X-Men! Millie is one of the most adventurous dogs on the web. She is always road tripping, spending time with her human parents or outside chasing a new adventure — and you will almost always see her with a smile on her face! She spends a lot of her time hanging out in Washington or out on the California coast and loves taking her new little sister, @sunnnythegolen out exploring! We definitely recommend following her page if you like to see photos of a cute pup on all kinds of ventures. Loki is one of the most popular dogs on the gram. 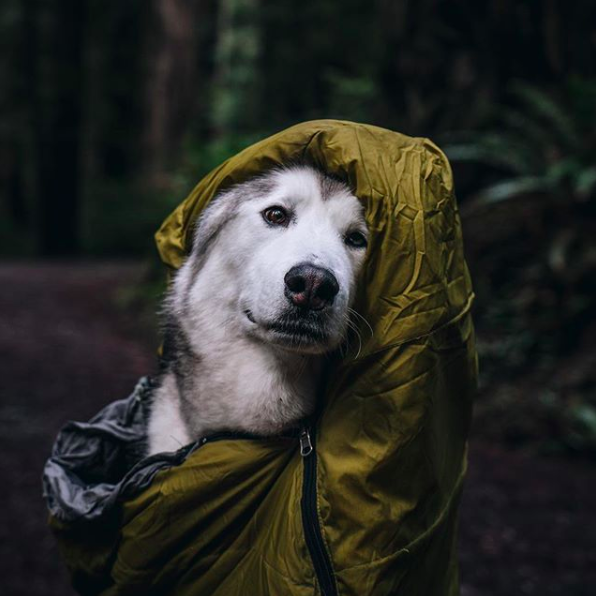 His owner, Kelly Lund, bought him from a breeder back in 2012 and initially posted photos of his new best friend just for fun on his Instgram. He eventually made Loki his own personal account and within one year Loki’s account gained 50,000 followers and continued to climb rapidly. This gorgeous pup is mostly malamute and husky but if you trace his bloodline, he is part wolf. He lives in Colorado and Kelly and Loki now travel and work together full time. Loki has even been a part of a wide variety of online campaigns and we are excited to see what is next for this fabulous dog. One of the most iconic duos since Mary-Kate and Ashley are two of the most cuddly pups on the planet. They are an inseparable duo that have taken Instagram by storm. Both Lizzie and Ally are golden retrievers that love each other almost as much as they love spending time outside. Something they have become most known for is their cute costumes and accessories they wear for photos. 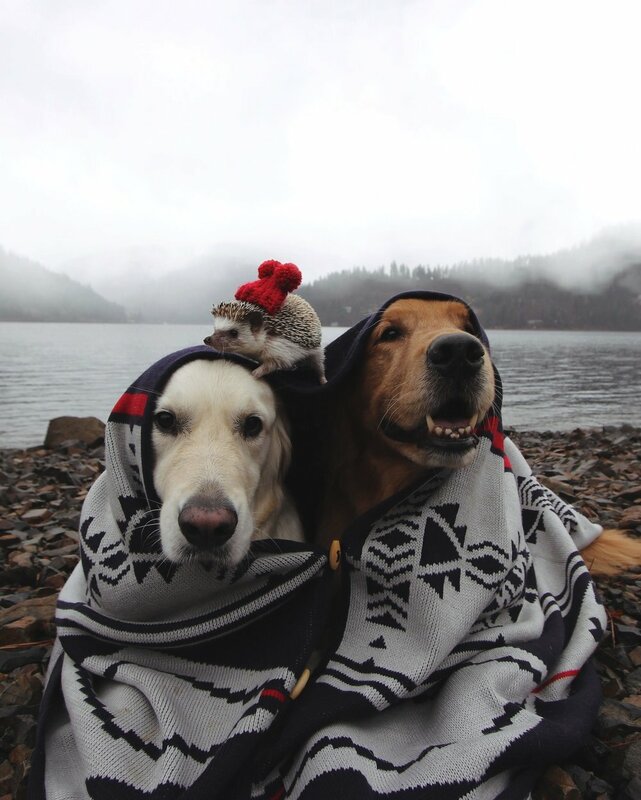 They love taking naps together, wearing their matching scarves or wearing fun hats. If you want to be overwhelmed by cuteness you need to give them a follow today! This trio of dogs have created their own adventure crew, exploring the west coast and camping together. Coalton being the newest addition to the family, all three of them love the camera and have been in some of the cutest outdoor photos on the internet. According to their owner, back in 2015, Grayson began having seizures which prompted his owner to switch his diet to raw food so he could be monitored. Since then, he and his two brothers have been kept on this raw diet, perfect for adventuring. If you want to watch these three best friends explore the West Coast, then we highly suggest checking them out! This little Washington based family is unlike any other and their story is what makes them truly unique. Jenn Medrano, the human of the family, took in Watson (the blondie) as an emotional support dog. Not long after, Kiko (the golden) joined the family. He was four years old when they took him in and struggled with anxiety. It became Watson’s job to not only support Jenn but to also help Kiko feel safe and comfortable in his new home. Soon after, a cat named Harry was adopted from a local shelter into the family. The four of them all loved being outdoors together and going on hikes. The newest addition to the family is London the Hedgehog. Watson and Kiko are well-known for their adorable trust fall videos and their snap shots of them cuddling in a blanket. If you want to be overwhelmed by cuteness you HAVE to give them a follow. There are definitely more adorable pups on the gram but these are some of our favorites and we just had to share with you! Give some of these furry friends a follow today so you can start going along on their fun adventures. We promise you won’t regret it!